"In the report of the Iraq Study Group (ISG), the American representatives completely neglect an analysis in support of what the 26 million people in Iraq want themselves, how they themselves and their representatives and clans want to restructure their own country and bring it forward following the welcome overthrow of the dictator. That, however, is precisely what the emphasis of their analysis and political recommendations should be if one wants to create a peace without ignoring the will of the Iraqi people." The positive side is the stark analysis of the precarious situation in Iraq, the facts of the disaster, and the will to find a new solution. 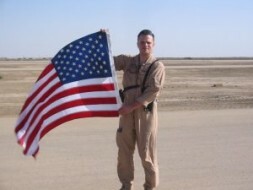 As of December 2006, 2,900 Americans have lost their lives serving in Iraq. 102 American soldiers were killed in October alone. Another 21,000 Americans have been wounded, many severely. The violence in Bagdad jumped more than 43% between summer and October 2006. Some 3,000 Iraqi civilians have been killed each month. Corruption costs are between $5–7 billon per year. 150,000 or more barrels of oil are stolen per day. The U.S. has appropriated $34 billion to support the reconstruction. International donors have pledged $13.5 billion, but less than $4 billion has been delivered. Saudi Arabia and the Gulf States have until now declined to provide debt relief or substantial economic assistance to the Iraqi government. To date, the United States has spent $400 billion on the Iraq War, and costs are running at $8 billion per month. Estimates run as high as $2 trillion for the final costs of the U.S. involvement. Despite a massive effort, stability in Iraq remains elusive and the situation is deteriorating. The ISG report is unfortunately not only a documentation of the failure of the old Iraq policy of President George Bush, but rather a completely unusable recipe book containing an albeit but regrettably as well wrong new American Iraq policy. The committee of influential foreign policy experts of both the Republicans and Democrats and their numerous established advisers are in no way able to persuade with their main suggestions for Iraq. The ISG report unfortunately documents the arrogance of power within this group of the Washington establishment, its ignorance of historical facts and of the will of the affected Iraqi population, the naïve belief in the power of negotiations, and the overestimation of their abilities in diplomacy, a significant lack of imagination, a missing musicality for the large geo-strategic picture, the old emphasis on the power of military and police instead of reconciliation and reconstruction, an insufficient feeling for timing and feasibility, the belief that centralism is better than federalism and a large state is better than three smaller ones united in a Federation of Iraq, and the ugly face of a cold and cynical American foreign policy. In this long study, the American representatives completely neglect an analysis in support of what the 26 million people in Iraq want themselves, how they themselves and their representatives and clans want to restructure their own country and bring it forward following the welcome overthrow of the dictator. That, however, is precisely what the emphasis of their analysis and political recommendations should be if one wants to create a peace without ignoring the will of the Iraqi people. Rather than that, like an authoritarian global policeman, this group out of the Washington biotope ignores the will of the democratically elected Council of Representatives and the government of national unity and the various leaders of the Shiites and Sunnis and Kurds. ISG dictates are issued on how these groups should behave. "The sand-like foundation of the Iraq Study Group Report and its new Iraq policy, is the same misbelief which has already failed under the Bush administration: “The United States should support as much as possible central control by government authorities in Bagdad,” favoring “a united Iraq that is strong enough to maintain its territorial integrity supporting the unity and territorial integrity of Iraq.” The study is missing the logical connection to reality of a historical genesis and the necessary foreign policy sensibility with respect to the affected population so necessary for a significant and successful strategy." Is this a new type of intellectual colonialism? Can the hyper-power U.S.A. win in this fashion militarily—or win real friends and long-lasting allies? Does the American establishment in this way live up to its moral responsibility, which it in fact assumed by invading Iraq? Does Washington now retreat from a policy of shaping reality to one of adapting to reality, and thereby retreating from the active structuring of a better world order? The study is missing the logical connection to reality of a historical genesis and the necessary foreign policy sensibility with respect to the affected population so necessary for a significant and successful strategy. It is also missing an inner musicality with respect to the mentality of the affected nation, which explains why the Shiites, Sunnis and Kurds will never feel satisfied within an artificially created state driving from the British colonial power. This is, therefore, why these groups must necessarily drift apart, and why more autonomy in a loose Iraqi Federation is absolutely necessary. Instead, a “sectarian agenda” is denounced again and again like an Original Sin of the Iraqis, and in contrast even more central power for Baghdad is demanded. The members of the study group still do not understand the basis of the singular allegiance to the clans and the regions. There is no Iraqi national consciousness like that in the U.S. As a result, a strong national state, one supported by three diverse population groups, cannot exist. Those who ignore this must and will fail. The leadership of the Sunnis wants a strong central government only if they receive an influence in Baghdad which is greater than their 20% portion of the population. The Shiites—who for 1,300 years were suppressed by the Sunnis—only when they either dominate the government or—like Al-Hakim of the SCIRI demands—may create an autonomous Shia Region comprised of nine provinces in the south. "It is a fact that none of the population groups really want a balanced, strong central government—except for the Americans and the Baker Commission and until now George Bush. Only the establishment of autonomous governments for the Shiites, Sunnis and Kurds can remove the enormous historical pressure, reduce violence and create local security. (see Hubertus Hoffmann on Iraq: Three Strong Federal States Comprised of Kurds, Shiites and Sunnis Are Needed Now with a Division of Oil)"
The Kurds—as the only non-Arab and long oppressed nation—only when they finally live in peaceful autonomy in the north. It is a fact that none of the population groups really want a balanced, strong central government—except for the Americans and the Baker Commission and until now George Bush. U.S. policy has, for over three years, pursued this goal and has failed spectacularly, because the basis of its Iraq strategy is wrong and will remain wrong. The centrifugal forces in Baghdad are far too strong; they dominate all problems in the country and do not reflect the will of the three population groups who want to exist as autonomously as possible. The “Devolution to Three Regions” only receives one half of a page from the Baker Commission and is shot down in an irresponsible, superfluous and an unjustifiable horror scenario. With that, Baker and Hamilton miss the real chance for a potentially successful new Iraq policy and perpetuate President Bush’s greatest mistake. The truth is that “mass population movements” have been occurring for the last three years—under the central government because it is unable to guarantee security for minorities. To date, 1.8 million people have left Iraq and 1.6 million are displaced within the country. No central security force, regardless of the size, can protect 26 million citizens who consider each other enemies from themselves. Placing all Iraqi police under the Ministry of Defense, which is in the hands of representatives of only one population group, as recommended by the commission, will produce the opposite: mistrust and instability within the other two population groups. The statement that all 18 provinces consist of mixed populations is not true. With the exception of Baghdad and several outlying areas, Iraq is separated into three relatively homogeneous areas—one Shiite area in the south, one Sunni area in the north, and one Kurdish area in the northeast. For years in the Kurdish area, Kurdish Sunnis have lived together peacefully with Kurdish Shiites along with 40,000 Christians and many Jews. A protection of minorities in the autonomous areas is essential, as well as the establishment of a Neutral Federal Zone in Baghdad with a mixed population of 6 million, comparable to the District of Columbia in the American capital Washington D.C.
Making peace in the Balkans would not have been possible if American foreign policy had further squeezed together the suppressed Bosnians, Croats and Kosovo Albanians with the dominant Serbs in the artificially created Yugoslavia. Why should this work now in Iraq? Why does the Baker-Hamilton team not learn from the experiences of the U.S., NATO and the EU in the Balkan region? In a federal structure, the commission fears a “collapse of the Iraqi security forces” as if that were not already the case now. The police and the soldiers are liable to be bound by their ethnic heritage and their clan allegiance, rather than by an unknown, abstract, newly formed central government. 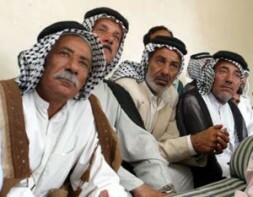 They fight for the rights and liberty of their own ethnic group, not for a centralized Iraq. Those who miss this point have built the foundations of the police force and the army on unstable ground. On the contrary, police and military units have to be national and homogenous in order to be effective with respect to the security of their own region and to make stability possible. "Unlike here, the Baker-Hamilton Commission insults the Kurdish people, America’s only remaining friend in Iraq and tries to establish friendships, partnerships, and stabilizing forces with four hated opponents of the Americans at the same time: the Sunnis and Shiites inside, and Iran and Syria on the outside—and that within the period of a few months—only a Harry Potter of foreign policy would be capable of that." The regionalization of Iraq is opposed by the ISG because it could lead to a “destabilization of neighboring states, or attempts by neighboring states to dominate Iraqi regions.” But this is precisely the case today, and it will always be the case with a strong central government as the neighboring states of Syria, Iran and Turkey will always seek to assert influence. A forced, strong central government in Bagdad with its inherent tensions and centrifugal forces will always bring about massive destabilization. Only fulfilling the desire for autonomy and self-government will bring stability. That is what the liberated Eastern Europeans in the 1980s and the peoples of the Balkan region have proven: simple dominance by a major power and the fortification of national borders at any cost lead to destabilization—the formation of new, smaller self-governed states with a national consciousness leads to increased stability. The Baker commission has not understood the new age of globalization and the often necessary reorganization and regionalization of this world according to the desires of the smaller population groups. The commission still adheres to the ideas of established diplomats who draw borders on large maps while ignoring smaller groups. One example with a fatal outcome was the disastrous Treaty of Versailles after WW I. The way of peacemaking above or against the will of the local population is not contemporary and will also fail miserably. 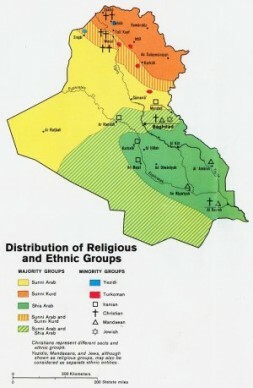 The idea propagated by the report which only sees the improved integration of the small Sunni population and their greater involvement in the power arrangement in Bagdad is historically and politically illogical, as this Sunni minority has for 1,300 years threatened the Shiite majority and the Kurds in the north, and in violation of international law has suppressed, tortured and murdered thousands during the last 20 years, even through the use of poisoned gas. Love of a common Iraq cannot simply sprout from this misery within a few years—the necessary reconciliation will not take months but decades. American politicians must be aware of this if they look back on the bitter period of reconciliation that followed the American Civil War which took many decades. With an intellectual chain saw, the ISG destroys all approaches of the Iraqi people towards a regionalization which is set down in their constitution: the police are not to be managed locally, but rather as a part of the central Ministry of Defense. Important elements of federalism will be cut out of the constitution. The Kurds are treated by the ISG not as friends and allies of the Americans in Iraq but as trouble makers. They should stay put and abandon their striving for independence and their most important source of oil in city of Kirkuk. This significant ally with a population of 5 million people is threatened with betrayal for the third time by the US in the year 2008 after already being betrayed in 1975 and 1999. Even though Kurdistan-Iraq is the only area in Iraq where peace has remained stable and the U.S. troops can retreat. This important first class option for the U.S. is not even considered—it is, however, essential for the stability and maintenance of American influence in the regions of Iraq, Turkey, Iran and Syria. The U.S. must have credible military forces in this important region to influence diplomacy and stability. It cannot just run away. The Baker-Hamilton Commission insults the Kurdish people, America’s only remaining friends in Iraq and tries to establish friendships, partnerships, and stabilizing forces with four hated opponents of the Americans at the same time: the Sunnis and Shiites inside, and Iran and Syria on the outside—and that within the period of a few months—only a Harry Potter of foreign policy would be capable of that. The commission adheres to analyses and suggestions in a classic combination of military policies and diplomacy, which in today’s world is not wrong but also not completely right—and is definitely insufficient. Iraq needs a clear Double Strategy for peace with more security on the one side and reconciliation and a rapid reconstruction on the other. 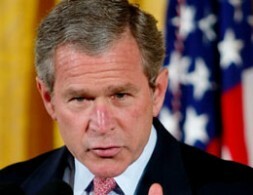 The people have to be better off in their daily lives than they were under Saddam Hussein. They have to feel at home and secure, and this is only possible through maximized regionalization. This is where the emphasis must be in a structure for Iraqi peace, and it is virtually left out of the report, which for the most part wants to bring about peace through military means. With this, the emphasis on creating peace within the country by reconciliation and reconstruction is to a large extent ignored and the chance for necessary and new strategy in Iraq on the part of the U.S.A. is gambled away. "The U.S. President should now spare no effort in implementing the necessary regionalization of Iraq into a federation, including an oil revenue sharing program on the basis of population, pull back U.S. combat troops by the end of 2007 into a new, large U.S. base in the safe Kurdish area of Iraq for the coming years, strengthening the friendship with the Kurdish allies, and emphasize a visible, rapid and better coordinated civilian reconstruction rather than massive military operations in the coming months." The cure-all phrase “immediate launch of a new diplomatic offensive” is suggested almost euphorically, as if Washington hasn't already searched in vain for years for international support for the government in Baghdad. Even its allies in Saudi Arabia and the Gulf States have only lent moderate support. The dream of serious negotiations with the hostile neighbors Syria and Iran, which would place two foxes at the henhouse door, is so illogical and naïve one doesn't know whether to laugh or cry. It is precisely this lack of logic with which U.K. Prime Minister Chamberlain at the Munich Conference in 1938 selected Adolf Hitler as the new Godfather for Peace of a new European peace order and proudly spoke of “Peace for our time” with more than 50 million dead seven years later. If the commission at the same time writes that Iran and Syria have an “interest in avoiding chaos in Iraq,” then that is wishful thinking rather than reality—in reality the opposite is true. Following a withdrawal of U.S. forces, Iraq with its Shiite majority would fall like an apple into the laps of both states, above all removing the pressure on their dictators to change. They are the determined winners of an American defeat in Iraq and only have to wait it out. A strong central so-called “stable” government as propagated by Baker is an illogical, mock solution and mirage on the Potomac: without a U.S. presence and without a balance given by strong autonomous regions of the Kurds and Sunnis, the central government in Baghdad—which is already controlled by a Shiite majority—and all power such as the centralized police and military forces would most probably fall into the hands of radical Shiites like Al-Sadr and their allies in Iraq and Syria. Centralization only helps the radical Shiites along with Iran and Syria, not America or the Iraqi people. The 2,900 American soldiers who have lost their lives, their 21,000 wounded comrades, the many hundreds of thousands of dead Iraqis, the 26 million Iraqis and the few friends America has left in Iraq and in the Middle East had a right to expect more serious proposals, more wisdom and analytical depth and creativity and respect concerning the will of the Sunnis, Shiites and Kurds. Under no circumstances should the U.S. President follow the main recommendations of the ISG, as they are not thought through and are misleading. emphasize a visible, rapid and better coordinated civilian reconstruction rather than massive military operations in the coming months. To download the Iraq Study Group Report click here. America in an Uncertain Age: In a post-Bush Era, How Should the U.S. Go AboutBuilding Alliances to Solve Problems?